On June 10th, 1889, in New Orleans, Louisiana, a group of proud surviving soldiers of the Confederate States of America organized an association called the United Confederate Veterans. Its goals were to protect and defend the honor and dignity of the memory of the Confederate soldier. As the ranks of the aged veterans of the UCV began to thin with the passage of time, a group of the surviving Confederate officers met in Columbia, South Carolina on August 30th, 1938 to discuss their concerns that the unique contributions made by the Confederate leadership were not properly chronicled in our nation's history books. They felt a particular duty fell to them as members of the Officers Corp. This first meeting of what they named the "Order of the Stars & Bars" was convened with a great deal of enthusiasm by seventeen former Confederate officers as well as an additional forty-seven male descendant of Confederate officers in attendance. These dedicated men were unanimous in voting to begin a new CSA veteran society that would hold annual meetings. The OSB was unique in that the organization was made up of veterans and their descendants with the understanding that as the original Confederate officers died that it was the sacred responsibility of their male offspring to continue to carry on the purposes of the Order. Our first Commander-in-Chief was Captain Homer Atkinson, of Petersburg, Virginia, who served the Southern nation as the commanding officer of Company B of the 39th Mississippi Battalion. He served as the chief officer of the Order from the beginning until his death in 1945. In addition to commanding the new Order, Captain Atkinson served two terms as Commanderin-Chief of the United Confederate Veterans. Other successful leaders assumed the role of commander including Gen. Robert E. Lee’s grandson Dr. George Bolling Lee. In later years of the Order, eligibility qualifications were broadened to allow collateral male descendants of Confederate commissioned officers as well as of any elected or appointed member of the Executive Branch of the Confederate Government. This brought additional members and new vigorous leadership to the Brotherhood. The name of the Order was changed to "The Military Order of the Stars & Bars" at the 39th General Convention held in Memphis, Tennessee in 1976. The first National Flag of the Confederate States of America, the Stars and Bars, was accepted as the official insignia of the Order and the commanding officer would be called the Commander General of the Military Order of the Star and Bars. Today the fraternal Military Order of the Stars & Bars, a non-profit 501(c) 3, non-political educational, historical, patriotic, and heritage group continues its dedication to the preservation of Southern history and remains the only heritage organization actually founded by Confederate veterans. A wide range of programs have been added to reorganize outstanding contributions in the fields of history, fine arts and journalism. College scholarships and monetary awards are offered to emphasize the need for truth in Confederate history. Prestigious literary prizes are awarded to authors and publishing houses. Monuments are being erected to the CSA soldiers. Journalists who practice ethical and fair reporting of local and Southern history are recognized. An emphasis is placed on American Patriotism and the honoring of all American veterans. 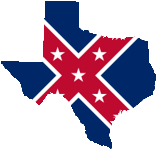 The Order works with other like-minded heritage and patriotic groups such as the United Daughters of the Confederacy, Order of the Southern Cross, the Museum of the Confederacy and the Sons of the American Revolution to promote a truthful history of Confederate States as well as general American history. We partner with Washington and Lee University in the preservation and interpretation of Lee Chapel. The Order also emphasizes family tradition and encourages our membership to preserve their family's Confederate history for posterity. To that end, each MOS&B membership application with its genealogical records becomes a permanent historical record and is kept on file at the National MOS&B Archives in Oklahoma City, Oklahoma. All MOS&B Headquarters files are all being digitized. Members are leaders in the collecting of data, documents and relics that preserve the history and heritage of the Southland and the War Between the states, but also in the preserving of the history of America’s Colonial, Revolutionary and Federal periods. The Order remains fervent in its Patriotism and support of the basic principles of the United States Constitution. As in decades past, the Military Order of Stars and Bars continues to cultivate the ties of friendship and create Brothers united in their common purposes. The friendship and fellowship of individuals united in a shared heritage and history remains of prime importance to the membership. Meetings and annual National Reunions are times of education and learning, but also opportunities for the good times shared by the Compatriots of the Order.